Livin' Life With Style : Pottery Barn Kids Events! I love shopping at Pottery Barn Kids. It's a bit pricey, but everything I buy from there is such amazing quality. When I was shopping there last week for some items for my kids rooms, I found out about a Halloween Event they are hosting, and a book club that takes place weekly at the stores. I thought I would write this short post for anyone who is interested that didn't know about it. Get at least 2 uses out of your child's Halloween costume this year and come to this fun event! Watch your little ones enjoy getting their faces painted, doing crafts and playing games. There will also be some treats to munch on as well. You need to call ahead and add your child to the list, so locate your nearest store here today! 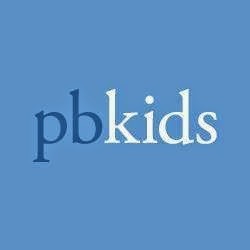 Each week, Pottery Barn Kids hosts story time for kids of all ages. If it's your first time attending, they will give you a Book Club Passport. Each time you attend they will stamp your card. Once you have gone 5 times you receive a special gift!! The Day the Crayons Quit- Tuesday, September 9th. For this day kids are invited to dress up in their favourite colour for the story. They will also have a crayon photo booth so be sure to bring your camera for a picture! Review: Mabel's Labels + Giveaway!